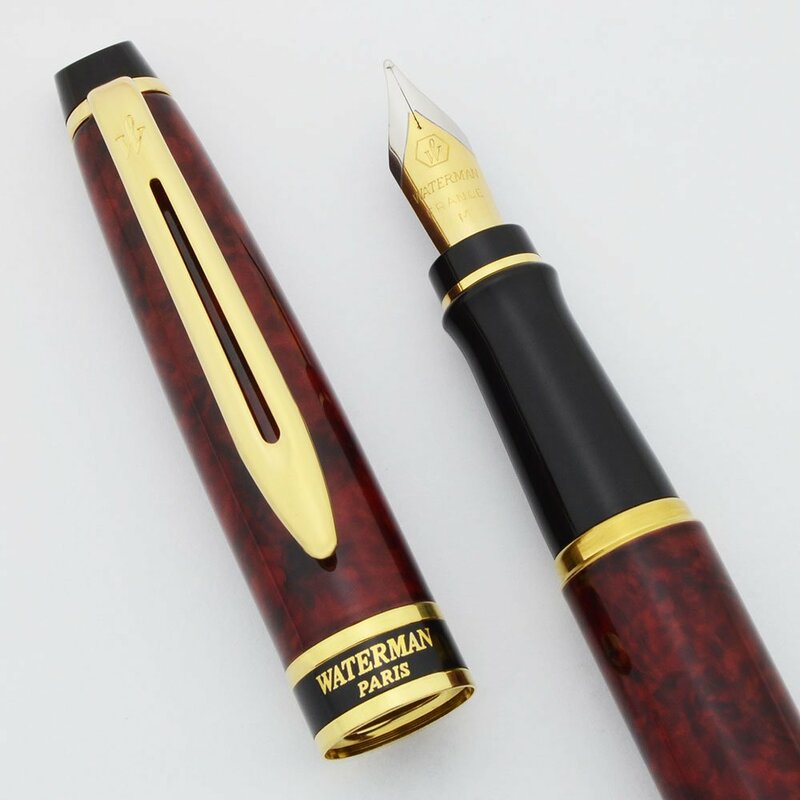 New Waterman Expert II fountain pen in rich red lacquer with black marbling, gold plated trim, and black end pieces and section. Steel and gold plated Waterman MEDIUM nib. 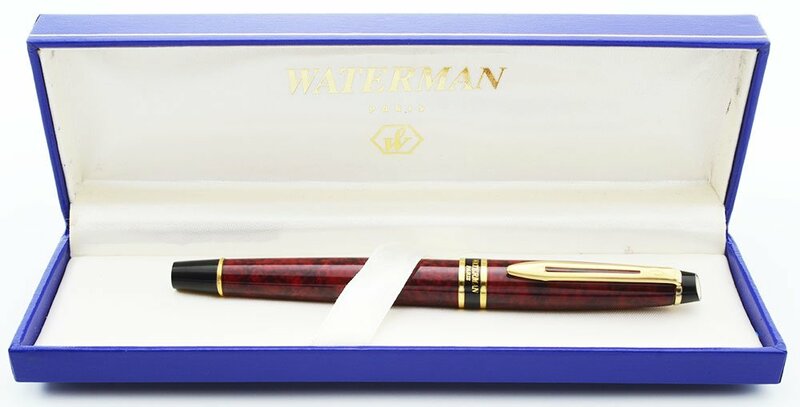 Excellent + condition, in original Waterman box. Filling System Takes cartridges (not included) or you can use bottled ink via a converter. 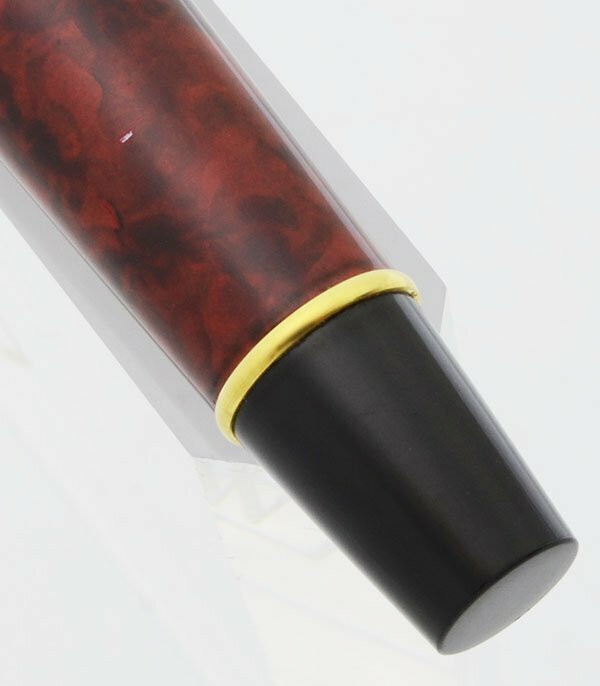 Color Deep red with black marbling. . Rich red lacquer over brass, Black plastic end caps and trim ring, with gold plated trim. Nib This nib is marked M. Steel with gold partial masking. Condition Excellent + condition, in original royal blue Waterman box with silk lining. The cap and barrel have only light scratch marks and the barrel has a small white mark toward the end piece. The section has horizontal capping lines. The trim looks very nice with just some light microscratching. Imprints are clear. No cracks, chips, dents, dings or personalization.